Currently, the UC workers are striking from their everyday jobs including custodians, gardeners, cooks, truck drivers, lab technicians, and nurse aides. Unless you have not left your room, you must have noticed workers holding picket signs and marching across campus for three days. The UC workers are halting services and protesting to demand equal wages for workers of color, who make about 20 percent less than white workers for the same work. These workers have been organizing for months, but the most salient mode of mobilizing is social media. From event pages, advertisements, and ordinary people posting, the movement is no longer isolated among the workers. People are getting involved, specifically people with social media — the youth. In the realm of social justice, we are to understand that activism is a fluid practice encompassing various methods. People ought to realize that, through social media, the face of activism starts to transform as pivotal movements are brought together by ordinary people. When we activate and are empowered in the pursuit of something for the greater good, that is true activism. Activists have been present way before our time. Perhaps the most prominent and infamous activists are the people of the Black Panther Party. These activists produced community service events like free breakfast programs, medical clinics, and after-school programs. The Black Panther Party is only one of many activists organizations of our time. However, activists do not need to perform grand gestures to be considered as such. Activists are you and me. People who take genuine actions to change the way things are. Today, activism is accompanied by a profound medium: social media. 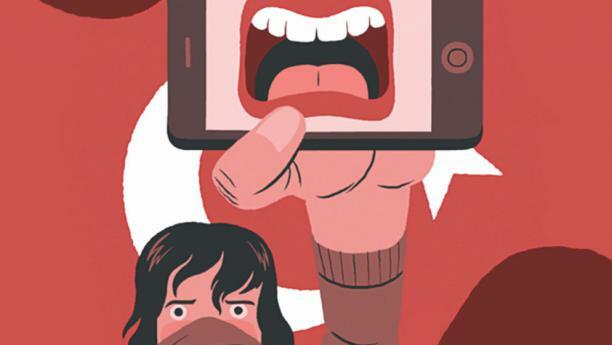 Since the introduction of new technology and forms of popular culture such as Facebook, YouTube, Twitter, and Snapchat, activism has been accentuated. Garnering a crowd at a protest has never become easier. Fundraising for a community service event has become instantaneous. Raising awareness on specific issues is in the palms of our hands. Technology has strengthened activism from organized groups to people who never thought they would be activists. Students at UC San Diego themselves have been seen protesting and even leading chants to stand in solidarity with the workers. With such technology present, we should explore how to push the limits of activism. When we look at activism now, the methods have not changed. We are organizing, yes, but the way we produce social movements fails to adapt with the times. Now that we have technology to bolster our movements, why don’t we attempt to see what else we can do with it? Why don’t we use technology to be activists? We can use our specialties as millennials, well-versed in the digital age, to consider other methods of traditional activism. We could hack websites, leak private content from the higher-ups, and even block out TritonEd. Imagine the people that would listen and the civil disobedience that would elicit. This does not necessitate that young people disregard the past and current movements of activism. Community service organizing, done by the Black Panther Party, and protesting, done by the UC workers, are movements from intrepid groups. Social media, and technology as a whole, fortifies traditional modes of activism and create new ripples. Our ability to disseminate information with a click of a button and, in the same token, erase information with a click of a button, places us at the forefront of the movement. We are activists. We have the power in our hands. So long as we utilize the technology present in our time to be conscious and present activists, change will come.